Just like Facebook lite, Facebook recently launched a lighter version of the messenger app and it's known as Messenger lite. The app was launched mainly to enable users with low end smartphones and poor network connection to enjoy the app without any lag, but to achieve this, some of the features available in the standard app had to be removed from the lite version and one of them is the video chat feature. Due to popular demand by users, Facebook has decided to add the video chat feature to the light version of the messenger app. "video chat is a core part of communication and so it wouldn't make sense to be removed from Messenger, even if we're talking about a slimmed down version of the app." 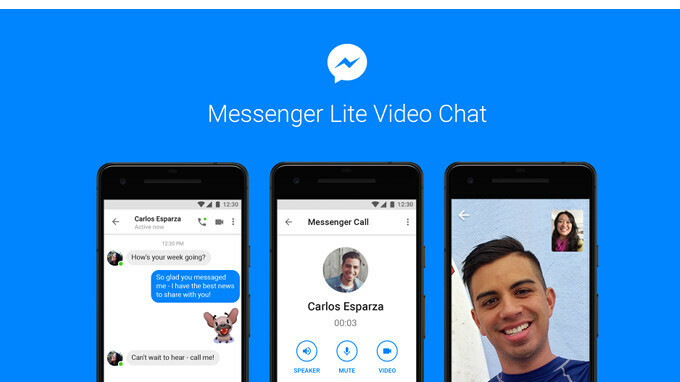 With the addition of video chat, Messenger Lite offers many core messaging capabilities, including sending text, photos, links, as well as audio calls to people with either version of the app. To use the video chat feature, just open any conversation and click on the Video icon at the top right corner of the screen. The updated version of the Messenger lite App for android is now available for all users and can be downloaded from the Google Play Store.